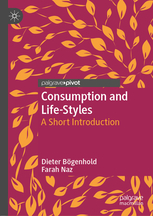 This book takes an interdisciplinary approach to the world of consumption, covering different topics and including sociological, economic and marketing aspects. The term ‘consumption’ is vague and even in academic disciplines the term is used in a variety of ways. Consumption research asks how earnings and spending are related to each other. More generally, consumption research investigates how people, social classes or societies realize their consumption practices. The question of how consistent preference structures are due to changing empirical backgrounds of time, space and related culture is frequently asked. Which context variables (historical time, geographical framework, cultural background) specify the practice of consumption and in which way do attributes such as age, gender, class, occupation and life-style have their own impacts on the way in which consumption is realised? This book will be of interest to researchers working in economics, sociology, marketing, aesthetics and design, anthropology and communication studies. Dr Dieter Bögenhold is Professor at the Faculty of Economics at Alpen-Adria-University at Klagenfurt, Austria. His research focuses primarily on the areas of the history of economic thought, consumption and economic sociology, globalization, social stratification and inequality and entrepreneurship research. He has authored more than 250 publications and numerous monographs. Dr Farah Naz is Lecturer in Sociology and Criminology at the University of Sargodha, Pakistan, and has twenty years of teaching experience. She previously worked in the Department of Education, Government of Punjab for ten years. She received several international awards and honours across 2007, 2010, 2014 and 2015. Some recurring themes in her research are industrial relations, gender and consumption.